G.R. 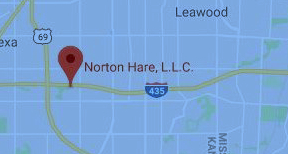 : Client was stopped in Prairie Village, Kansas and cited for DUI. The DUI case was dismissed before trial. V.N. : Client stopped for traffic violations in Shawnee, Kansas and failed field sobriety tests. He refused a breath test at the station. After a trial, he was found “Not Guilty”. R. M: Client was stopped after a chase through Lawrence, Kansas. He was subsequently charged with a DUI. The DUI was dismissed before trial. K.D. : Client was stopped for speeding in Olathe, Kansas. He failed field sobriety tests and took a breath test resulting in a .088% result. The DUI case was dismissed on the day of trial. J.M. : Client was arrested in Olathe, Kansas after failing field sobriety tests. He was given a breath test and blew a .219%. The DUI case was dismissed on the day of trial. K.C. : DUI case dismissed in Kansas City, Kansas. M.W. : Client was arrested for DUI after a traffic accident in Overland Park, Kansas. He was taken to the station where he blew a .200%. He was found “Not Guilty” after trial in Johnson County District Court. C.K. : DUI dismissed before trial in Johnson County District Court. S.W. : Client was found sleeping in his car outside of a McDonald’s with the engine running. He was given field sobriety tests and arrested for a felony DUI. The felony DUI charge was dismissed before trial in Johnson County District Court. M.L. : Client arrested for DUI in Leawood, Kansas. He failed field sobriety tests and took a breath test resulting in a .180%. DUI case dismissed on the date of trial. S.L. : Client was stopped for speeding in Miami County, Kansas. He failed field sobriety testing and was arrested for DUI. He refused to take the breath test at the jail. The DUI case was dismissed just before the scheduled jury trial. G.W. : Client pulled over for weaving in Lawrence, Kansas, and failed field sobriety tests. He was taken to the jail where he blew a .140%. The DUI case was dismissed before trial. C.C. : Client was contacted after an accident in which his vehicle ran into a fence in Ottawa, Kansas. He was given field sobriety tests and arrested for DUI. At the station he blew a .160% breath test. The DUI case was dismissed by the court for destruction of evidence. M.Q. : Client was found sleeping in her running car in the parking lot of a store in Gardner, Kansas. She failed field sobriety tests and blew a .182% at the county jail. The DUI case was dismissed before trial. J.P.: Client arrested for a DUI in Roeland Park, Kansas. She blew a .198% in the machine at the station. DUI case dismissed before trial. M.H. : Client stopped for speeding in Mission, Kansas. She failed field sobriety tests and blew a breath test of .120%. The DUI case was dismissed before trial. D.M. : Client stopped for speeding in Spring Hill, Kansas. He failed field sobriety tests and was arrested for DUI. At the station he blew .116%. He was found “Not Guilty” of the DUI at trial. J.S. : Client stopped in Johnson County, Kansas for traffic violations. She failed field sobriety tests and was taken to the jail where she blew a .130% on the breath testing machine. She was found “Not Guilty” of the DUI after trial in Johnson County District Court. J.H. : Client was charged with a felony DUI in Wyandotte County, Kansas. The DUI case was dismissed just before the scheduled jury trial. P.K. : Client was arrested for a DUI in Olathe, Kansas, and took a breath test with a result of .207%. The DUI case was dismissed just before trial. R.B. : Client was arrested in Overland Park, Kansas for what would have been a felony DUI. She was found “Not Guilty” of the DUI. M.P. : Client charged with DUI in Johnson County District Court. He was found “Not Guilty” of the DUI after trial. J.S. : Client stopped for speeding in Mission, Kansas. She failed field sobriety tests and was taken to the station where she blew a .105%. She was found “Not Guilty” of DUI after trial. B. G.: Client stopped in Olathe, Kansas for a traffic violation. He failed field sobriety tests and was arrested for DUI. He refused the breath test. He was found “Not Guilty” after trial. F.K. : Client stopped in Ottawa for weaving within his lane. Client failed field sobriety tests, was arrested for DUI and taken to the station. Client submitted to a breath test with a result of .167%. DUI dismissed prior to a trial on defendant’s motions to suppress evidence. T.B. : Client stopped in Olathe pursuant to a law enforcement alert and submitted to field sobriety testing. He was arrested and failed the breath test at the station. The DUI was dismissed after the court granted defendant’s motion to suppress evidence. A.A.: Client arrested and charged with DUI in Westwood, Kansas. DUI charge dismissed by the prosecutor before trial. K.R. : Client arrested in Overland Park, Kansas, for DUI. DUI charge dismissed by the court prior to trial. D.S. : Client involved in a severe accident in Kansas City, Missouri. Client charged with DWI. The DWI charge was dismissed by the prosecutor on the day of trial.